First things first. I shared this video on Blame It On The Love's Facebook page two weeks ago, but I'm going to post it here because I think it's really sweet. Even if it was possibly staged for the media. 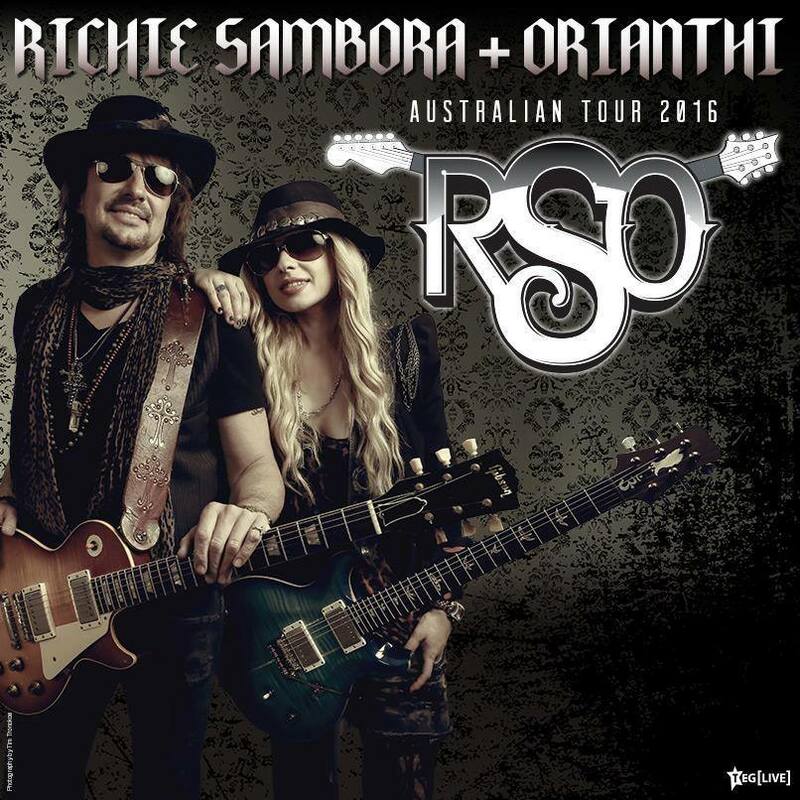 It's the video of Richie Sambora and Orianthi congratulating Bon Jovi on their new single, which was posted on both Facebook and Twitter. Jon (or someone on behalf of Jon) replied on both sites. 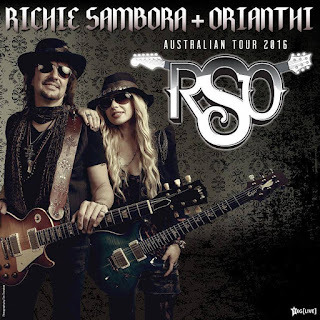 I saw Richie and Ori at Soundwave back in 2014, but it'll be good to see them do their own show rather than a festival this time. Anyway, Richie was interviewed on Mix 94.5 today. He talked about songwriting, working with Orianthi and producer Bob Rock, and his charity work. Listen to the interview here. “There’s no malice. Jon and I talked just a week ago. Everything is cool. They’re on a different trajectory, I’m on a different path. Plus I wanted to go out and sing. He also described the upcoming RSO album as "Sonny and Cher on steroids". Read the full article here. Has Bon Jovi made Phil and Hugh "official"?